Welcome to the Judy Mayeux Library! It’s National Library Month! 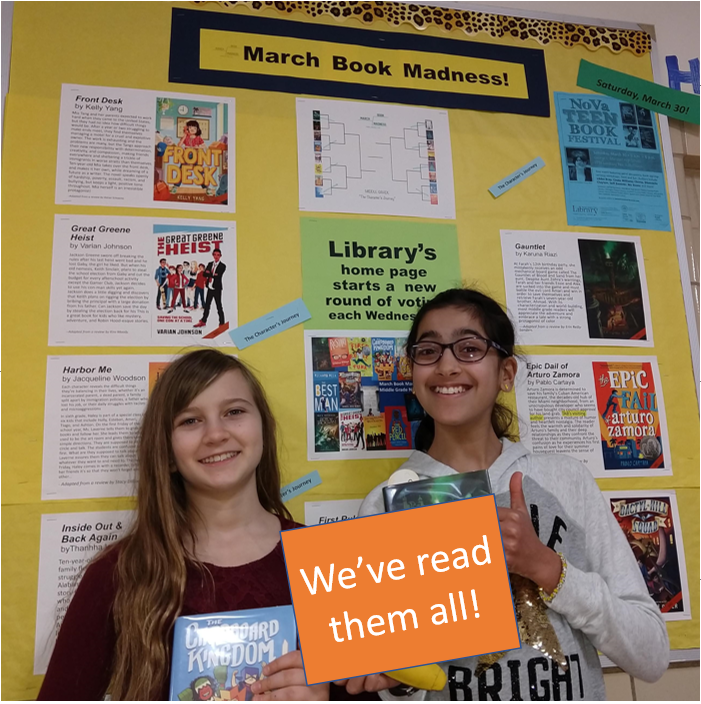 Find resources for STEM, History, Novels in Verse to enjoy Poetry Month, and answers to the questions you are asking in your library! The NoVa Teen Book Festival was wonderful! 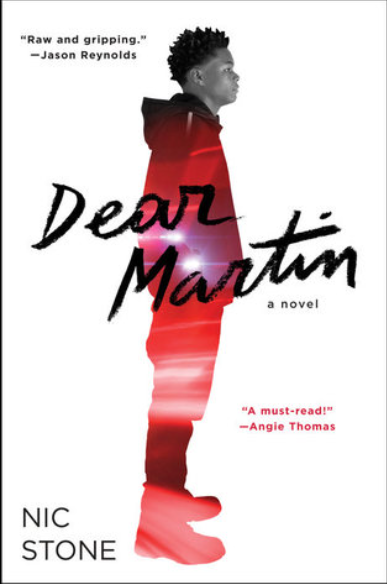 Did you enjoy author presentations by people whose books we should add to our collection? Use the red “suggest” button lower down the page to recommend a book for purchase. Here at H-B, we want you to let someone know what books you recommend! Maggie and Carol can add your favorites to the “Resource Lists” inside our library catalog. If you need help finding something, just ask Maggie or Carol! The map above helps you take our call number challenge below! Can you guess where each call number is shelved? Hint: look at the top and the bottom of each spine label! Our two e-audiobook and e-book collections are growing rapidly! Great news for students in AP courses! We just acquired the most widely used database on college campuses: J-Stor! It’s an “archive” of millions of journal articles and historical pamphlets for primary source research. It archives only PEER-REVIEWED resources. Tips for fast searching. 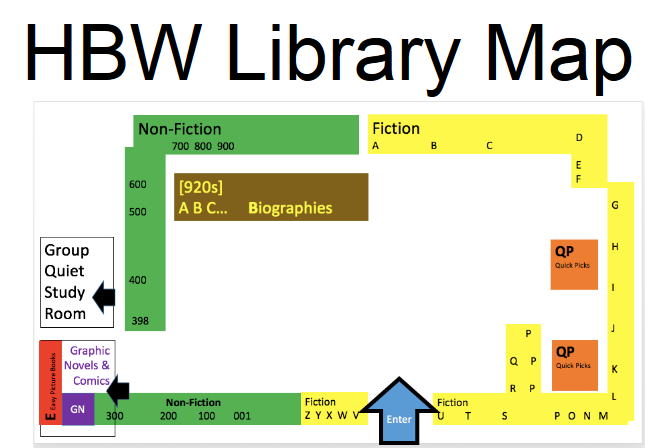 Our Research Guides linked under “Research” at this web page support specific research projects assigned at HBW. Use them to develop skills targeted for Middle Schoolers and High Schoolers. 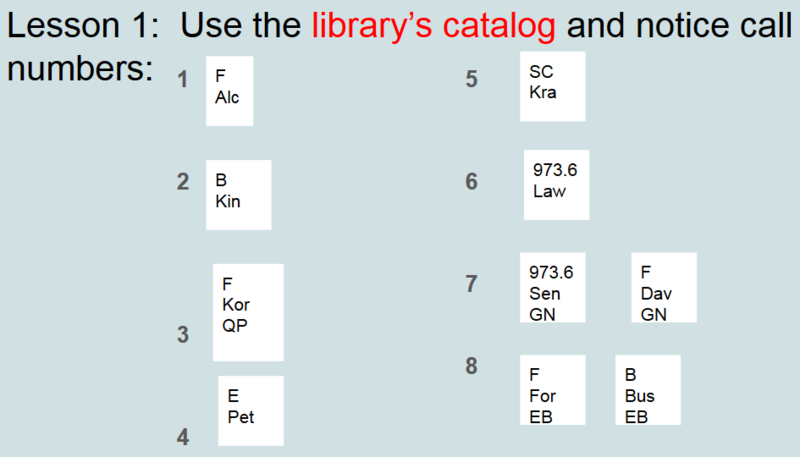 Log in to the catalog (use this link) and use the “My Info” tab to check if you have any overdue books. Use it to access e-books in our Mackin and Follett collections. See books available from all of our APS libraries and arrange an inter-library loan. Suggest a book that you want us to purchase for our collection: link. 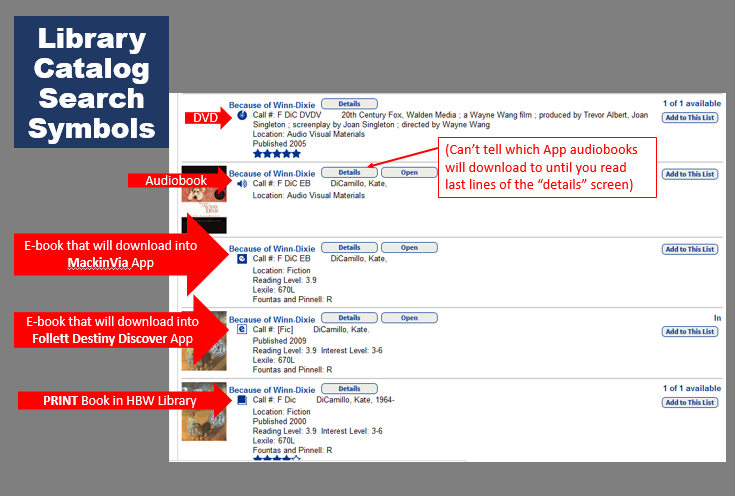 E-Books and e-Audiobooks are contained within Follett Destiny Discover and Mackin, Instructions for access are detailed HERE. Personal Reading Goal: Record yours here. WOW! Powerful film making by Khulan @HBWProgram with many #loveHB voices expressing a commitment to supports for minority students within @APSVirginia! Don't miss it: https://t.co/k69yF1S5En THANKS @APS_OEE & @Nekya_HB for dedication, creativity, & how you EMPOWER our kids!